San Luis Obispo County Supervisor Adam Hill’s continuing battle with state Senator Sam Blakeslee and the Coalition for Labor, Agriculture and Business (COLAB) came to light Tuesday following the release of emails under a California Public Records Act request by Andy Caldwell and then the Tribune. Hill initially attacked Blakeslee for scheduling a fundraiser with the executive director of COLAB Andy Caldwell as master of ceremonies. Blakeslee promptly postponed the event, saying it had become overshadowed by Hill’s dispute. Hill accused Caldwell and COLAB of racism for bringing comedian Steve Bridges to a Santa Barbara County event. 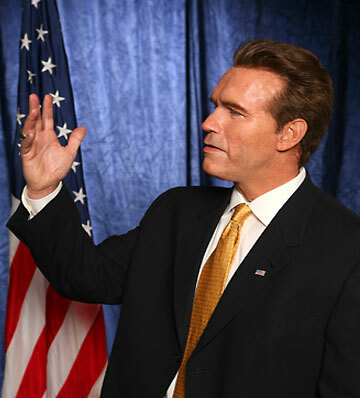 Bridges, who impersonates politicians, darkens his skin to play President Barack Obama. 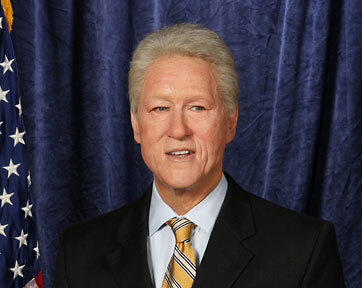 In similar fashion, he uses makeup to appear as former presidents George W. Bush, Bill Clinton and others. One local politician is supporting Hill for criticism of COLAB. Nipomo Community Services District board member Mike Winn emailed Hill after the supervisor attacked Blakeslee. “I appreciate your standing up against racism in all its forms. This is a problem worldwide, but it has not been eradicated in our country — and certainly not in our county,” Winn wrote. The released emails revealed Hill made comments vilifying COLAB, Caldwell and the group’s new director of governmental affairs, Mike Brown, the Tribune said. Hill said he was attempting to sway local leaders away from any associations with COLAB. The emails show a comment made by the senator’s wife, Kara Blakeslee, criticizing a member of COLAB, San Luis Obispo County Parks Commissioner Deanne Gonzales, for using the phrase “the Jap authorities” when referring to officials in Japan allegedly minimizing the nuclear disaster at Fukushima. In a previously released email to Blakeslee, Hill called some members of COLAB “hostile, secretive and racist”, but later apologized for those remarks. I do not expect to disuade any of his supporters, but for the rest of us who abhor extremist right wing tyranny, let me assure you that Andy Caldwell is most certainly NOT someone who you want to be influencing local politics in any way. As far as politics and community well-being goes, Andy Caldwell is an infection of the most virulent kind. And now with his sidekick Mike Brown helping him its more imperative than ever that decent people beware. Wiseguy – It sounds like you have the beginnings of an anti-COLAB group. Why don’t you and the others that oppose COLAB get togther? The members of COLAB did this and it is working for them, so why don’t you do the same thing? Yes, there’s an increasing number of people posting who are floating the idea of an “anti-COLAB” group. But starting something like that is not my style, nor do I think it is necessary. It is questionable if there really are any COLAB SLO members other than Andy Caldwell or Mike Brown, it would be best for them and the community if they simply replace Caldwell and Brown as the spokesmen for the organization and appoint less controversial, less combative representatives who have diplomacy skill. Caldwell and Brown style is getting old and tired. How many Rush Limbaughs and Glenn Becks to we really need? COLAB might be a good concept if Caldwell and Brown would move out of the way and let more effective leaders chart a fresh, less hateful course for the lobby group. I can assure you there really are members of COLAB SLO. And they will still be here long after 3rd district voters send Adam Hill back to grading papers. As for wise people who want “to forge positive alliances among diverse groups” Adam Hill had that very opportunity and chose instead to attack Mike Brown. His choice to play hard ball politics and time will tell if it was a wise move. Have you listened to Mike Brown? A gentleman that has never been anything other than respectful before the board. Hill’s anger is over Brown’s message. Let’s see if Hill can get past this as he says he will. Mike Brown is slick alright, and that’s how he managed to become a multi-millionaire while EMPLOYED AS A CIVIL SERVANT in Santa Barbara County where Indian Casino money flows like Central Coast wine. Funny how it was Andy Caldwell himself who used to publicly denounce Mike Brown as being corrupt and incompetent in the days when they weren’t financially aligned. Yes, Mike Brown knows how to control his temper and speech in public. He’s a pro, no doubt about it. The amount of total crap he’s gotten some people, including members of the media to swallow has been astounding. I just want to know who the officers are for the SANTA MARIA COLAB. Typo. There is no Santa Maria COLAB. There is the Santa Barbara County COLAB and the San Luis OBispo County COLAB. So, there are no officiers for Santa Maria as there is no Santa Maria COLAB. Oh geez, okay the Santa Barbara COLAB, who are the officers? DOES HILL HAVE ANY BUSINESS PUTTING BLAKESLEE IN WHAT HE THINKS IS HIS PLACE? Our youth are encouraged to get involved in government and community. Would theses politicians order their silence or evaded difficult and embarassing questions as they do adults? For any theory no matter how complex, if it can be explained to a child with clarty, it is a sound theory (meriting hypothesis and fact front and back). I guess we adults don’t rate, and the youth will discover later that they don’t either. From Netflix, I recently ordered and viewed the entire Amos and Andy series which is on DVD. I use to enjoy that show alot when I was a kid. It has never been re-broadcast over the airwaves because supposedly it paints Blacks in a bad light. Actually it is the other way around. Almost entirely comprised of Black actors and actresses you have business owners, judges, lawyers, many successful people. Only a TV show, but it portrayed responsible, compassionate characters. I guess it would have been hard to promote the race card with a view such as that being shown. Adam Hill is doing a good job of distracting folks from the fire going on in County Government… will we see them addressing their huge unfunded obligations or budgetary woes? I think NOT! Will he be leading the charge on reducing the cost of county government on the tax payer? Rolling back the sales tax? Has he done ANYTHING to bring business into the county or help local businesses? No. In my humble opinion, he hasn’t done anything. So , I ask again… who does Adam Hill think are the racists at Colab? Are they the hard working people of the trade unions? or the farmers? or the small business folks? Common Adam… let us know who it’s okay to hate? I did not have the opportunity to be interviewed about this story to rebut the mis-characterizations. With respect to the “ad” we took out, here is the real story. In Santa Barbara the equivalent of the New Times Shredder is called Trixie the Angry Poodle BBQ. For a couple of years, we bought space in the paper opposite of the Poodle to run an oped called Spike the Bulldog. What they did to conservatives and conservative causes, we did the opposite. On one particular occassion an organization called the Latino Action Voter Alliance (LAVA) which was ostensibly formed to get Latino’s elected to office, nonetheless endorsed a democrat white chick over the Hispanic Mayor of Santa Maria. I exposed them in the oped. At the end of the oped, I quoted Joe Armendariz, who is Latino, who was a member of LAVA. It was Joe who called the group Ignorant Mexican Activists. So in context, I was supporting the Latino in the race and I was quoting a Latino member of the Latino organization, yet these 9 years later, Adam Hill and now Cuddy and the Tribune are calling me a racist? I continue to ask Hill to name one thing that the entertainer Steve Bridges said that could be construed as racist? There were 800 people at the event. NONE were offended by anything he said because he is a class act. This whole affair was nothing but race-baiting by Hill. Attempts by Republicans to add amendments stating “pedophilia is not protected as a sexual orientation” were blocked by House Democrats. In fact, Rep. Alcee Hastings, D-Fla., said all alternative sexual lifestyles should be protected. Looks like SLO has more than it’s fair share of whacks. ” I quoted Joe Armendariz….” So that makes it right? Eddie Murphy uses the ‘N’ word so does it make it right if I do? Caldwell used what someone else said as an excuse to say something that is tacky and rude, it was simply an excuse to say what he really feels. Pedophilia is against the law, why do we need more laws. Why is COLAB getting involved in such laws, what does pedophilia have to do with labor or AG? ‘Democrat white chick’,,nice, he’s a class act. Caldwell’s entire radio show is spent bashing anyone that’s not a tea bag type of person. I don’t agree with Hill and the black face thing but Caldwell is an angry and hateful person. COLAB is nothing but a political platform for the paranoid extreme right. Typo you didn’t need to big a hammer to hit that nail. Caldwell is a snake-oil salesman, selling to the most fearful. The sad thing is that they fear what is really themselves. Vagabond you didn’t need to big a hammer to hit that nail. Hill is a snake-oil salesman, selling to the most fearful. Typoqueen – You wrote: COLAB is nothing but a political platform for the paranoid extreme right. Yet, you complain you don’t know who any of the officers or members of COLAB are. It sounds like you really are just calling anybody that does not agree with your righteous political beliefs paranoid. This seems a bit unfair. What policy(s) that COLAB has brought before the SLO Board of Supervisors do you disagree with? The above URL is for Part 1 of a video of Steve Bridges’ Obama routine from 2010 (I could not find a video for a more recent gig). I found it very funny. In no way was it racist. Having a mother who was a civil rights activist, I am quite sensitive to racism. I didn’t identify any racism in the video. I believe Supervisor Adam Hill’s unwarranted attacks on Blakeslee, COLAB and Bridges was out of line, and potentially harmed those parties, as well. 1. In an attempt to back up his secret agenda (as revealed by his emails which were subsequently made public) about Blakeslee and members of COLAB, Supervisor Hill played the race card. Originally, Hill’s complaint against Blakeslee was over his choice of having a member of COLAB serve as master of ceremonies at an fundraising event. When Blakeslee postponed the event, Hill then complained that the choice of Steve Bridges (a comedian and impersonator of at least three U.S. presidents), who impersonated President Obama, was racist because of the use of tinted face makeup. Bridges is light-skinned, Obama’s skin color is darker, so Bridges used makeup to come closer to Obama’s skin color. Bridges’ hair is dark, but when he impersonates Clinton, he makes his hair white to match Clinton’s hair. is this ageist? No. Making temporary physical changes to their appearance is what impersonators do to evoke the person they are impersonating. As long as Bridges’ comedic routine does not use the physical changes he makes for his impersonation as support for a racist or bigoted routine, then there is no racism or bigotry. 2. Supervisor Hill claimed members of COLAB were “hostile, secretive and racist,” when he could provide no proof or evidence that these claims were true. He used these terms to back up his complaint about a member of COLAB being master of ceremonies when, in fact, these alleged conditions did not prove one way or the other that one member of COLAB being master of ceremonies was wrong. 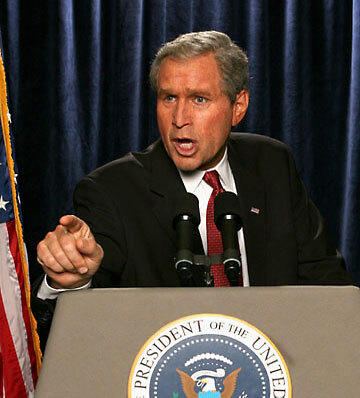 If it had been proven true that those accusations were true, then Hill would still have had to give evidence for why that made one member of COLAB a poor choice for master of ceremonies. By playing the race card, Hill implied that everything associated with COLAB would then automatically be judged as wrong and inappropriate, when this is simply not the case. A person may be both a racist and a school crossing-guard, but being a racist does not, in and of itself, prove that the person is a bad crossing-guard. 3. Supervisor Hill played the race card while wearing the mantle of a member of the SLO County Board of Supervisors. Doing so gives extra, unwarranted weight and credibility to Hill’s fallacious claims. This is much the same as when Maria Kelly, identifying herself as a member of the LOCSD Board of Directors, appeared before the SLOCo Board of Supervisors and praised Pavvo Ogren.s (head of SLOCo Public Works AND her secret lover) vision for the Los Osos’ sewer. What is truly despicable and cowardly is Hill, after his emails (and his true intentions) were made public–and after Hill had potentially harmed the reputations and careers of Blakeslee, members of COLAB and comedian-impersonator Bridges– Hill no longer wanted to publicly continue the discussion. 5. 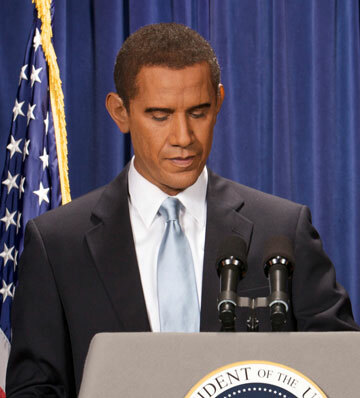 These same comments also show that Blakeslee played the race card when he accused the comedian-impersonator, Steve Bridges, since nothing Bridges’ uses in his impersonation of Obama is racist, and making physical changes to make himself more closely resemble the person he is impersonating is something Bridges (and other impersonators) routinely do. Calling Bridges’ routine “racist” has the potential of harming Bridges’ career. I believe Hill’s actions need to be investigated by an independent, non-County-connected group; specifically, NOT the staff of the SLOCo Board of Supervisors, who are performing the investigation of the conflicts of interest and legality of Ogren and Kelly not recusing themselves, and/or revealing their secret love affair, as well as Kelly living in SLO with Ogren when a condition of her being on the LOCSD board is that she live in Los Osos. The fact that having the staff othe SLOCo Board of Supervisors investigate the issues arising from the Ogren-Kelly official actions while maintaining a secret love affair is, and of itself, a conflict of interest. The irony of an investigation by a conflict-of-interest-laden group into a conflict-of-interest-laden Ogren-Kelly secret love affair at the same time both were taking official actions on the Los Osos sewer project, the results of which benefitted both Kelly and Ogren, is apparently lost to the BOS. Let’s hope teh BOS is a little more savvy when the arrange for the investigation of Supervisor Hill. Re: #5 in my previous post…it was HILL who played the race card. In this instance, Blakeslee was the victim.